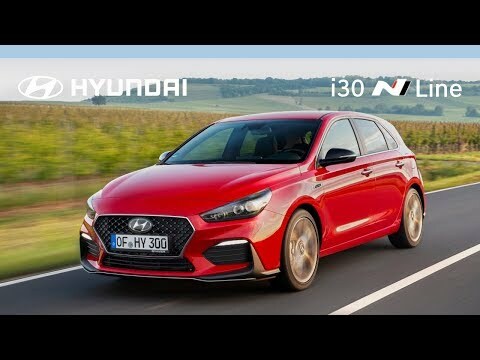 The first of the new N Line models is the Hyundai i30 N Line. Making the most of its association with the already award-winning i30 N, the new N Line features a sporty tune-up for the suspension, brakes and engine response. In addition, design upgrades include 18” alloys, a dynamic silver paint line to the front and rear bumpers, and a twin muffler at the back. Inside, the N Line comes with a perforated leather sport steering wheel, the N gear shift knob and metal pedals. You can go even more N with N-branded suede sport seats, which also benefit from improved lateral support. All that remains is to choose your engine: the 1.4-litre T-GDI 140PS petrol engine or the 1.6-litre CRDi 136PS diesel engine. Now you’re ready to engage. Prices start from £21,255 for the i30 N Line 1.4 T-GDi 140PS 6-speed manual and rise to £24,255 for the range-topping i30 N Line + 1.4-GDi 140 7-speed DCT automatic which adds heated, electric, leather and suede sports seats, dual-zone climate control, LED headlights, automatic wipers, a heated steering wheel and an 8" satellite navigation system.